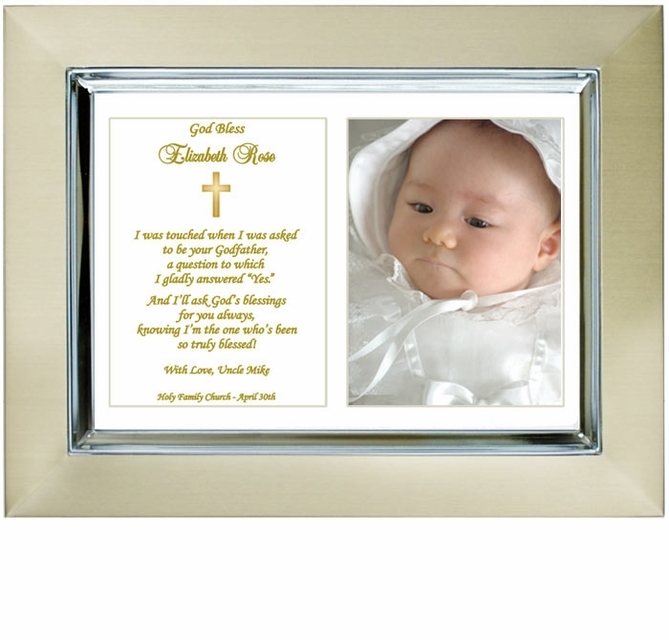 If you need a Baptism gift for your godchild consider this lovely baptism frame. On one side of the frame there is a special blessing from the Godfather as well as the Godchild's name, Baptism date, church name and a closing message from him. On the other side of the cut out mat there is room for the Godson or Goddaughter's photo. 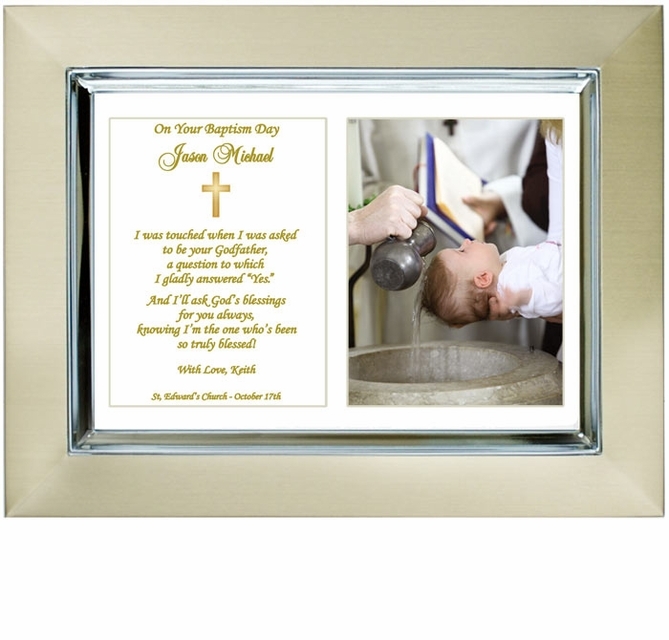 Commemorate this special religious occasion in the life of a child with this unique Baptism keepsake. < For a close-up view, click on photo - See Description tab to read poem. Celebrate the baptism of your Godson or Goddaughter. Here is a special gift that will become a keepsake of his or her special day. This Poetry Gift is personalized with name, baptism date, church name and an area for a baptism photo. This Poetry Gift comes in a 5" x 7" gold metallic frame with a small silver border surrounding the poem insert. There is an off-white mat with a 3" x 4" cut-out photo area - photo can easily be inserted at any time after delivery. The frame has a stand-up easel back or it can also be hung on a wall.